It'll be impossible to outshine you in this dress. 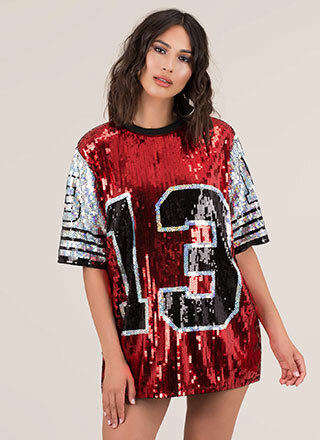 Stretchy, sleeveless, metallic minidress features a sparkly sheen throughout, a scoop neckline, and a cut-out over the stomach for a two-piece look from the front. Dress is finished with an elasticized waistband and no closures.